The European Agricultural Fund for Rural Development (EAFRD) is the funding instrument of the second pillar of the EU’s Common Agricultural Policy (CAP) and it is one of the European Structural and Investment Funds (ESIF). The EAFRD aims at strengthening the EU’s agriculture, agro-food and forestry sectors, as well as rural areas in general. The EAFRD has a total budget of over EUR 96 billion for the period 2014-2020. Almost half of this budget is planned for investments, through grants and financial instruments, in agriculture, forestry, environment and natural resources management as well as sustainable development of the rural economy. By end of 2018, more than 54 managing authorities carried out ex-ante assessments for financial instruments under the EAFRD and around 25 of them have launched or are preparing, their financial instruments. promoting social inclusion, poverty reduction and economic development in rural areas, in particular with regards to creation and development of small enterprises, as well as jobs creation. 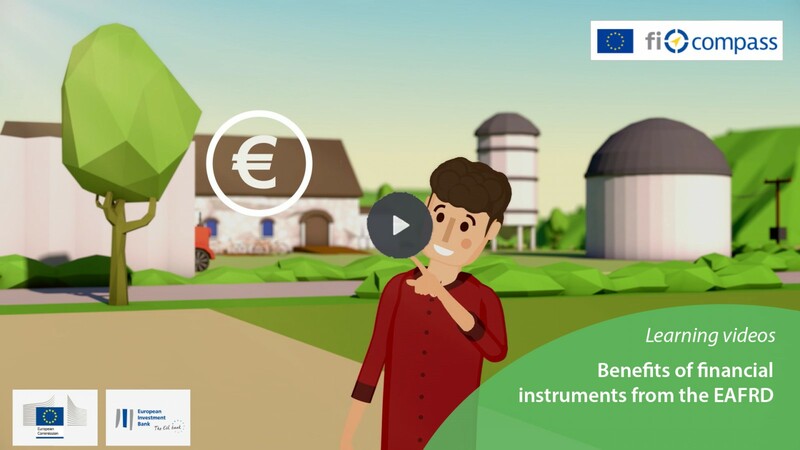 Financial instruments under the EAFRD are available to all potential recipients in agriculture, forestry and in the rural areas who are undertaking financially viable investment projects. For further information, please consult the fi-compass factsheet on EAFRD financial instruments. On this website, EAFRD stakeholders can find a lot of useful and interesting information to improve their decision-making about financial instruments. Publications, like a dedicated methodological EAFRD handbook for ex-ante assessment that has been produced especially for financial instruments in agriculture. It hosts a practical collection of informative reference guides with relevance for EAFRD financial instruments. Case studies, such as experiences from guarantee and loan funds supporting farmers and rural businesses, show how these instruments can be used to support the EU's rural economy. Targeted coaching is a relatively new and specific advisory service available to all EAFRD managing authorities. Targeted coaching is provided by fi-compass together with Directorate General for Agriculture and Rural Development (DG AGRI) of the European Commission in order to help managing authorities to build up their knowledge about financial instruments. Coaching also helps to improve understanding about the setting-up and implementation specificities of financial instruments. EAFRD managing authorities (national and regional) can request coaching services by email through fi-compass or their counterpart in DG AGRI. The EU and macro-regional conferences on EAFRD financial instruments for agriculture and rural development provide substantial amounts of additional information from fi-compass. The conferences' website pages include a large library of video-recorded presentations and discussions about opportunities for EAFRD financial instruments, as well as useful insights from people with direct experience of using financial instruments for agriculture and rural development. 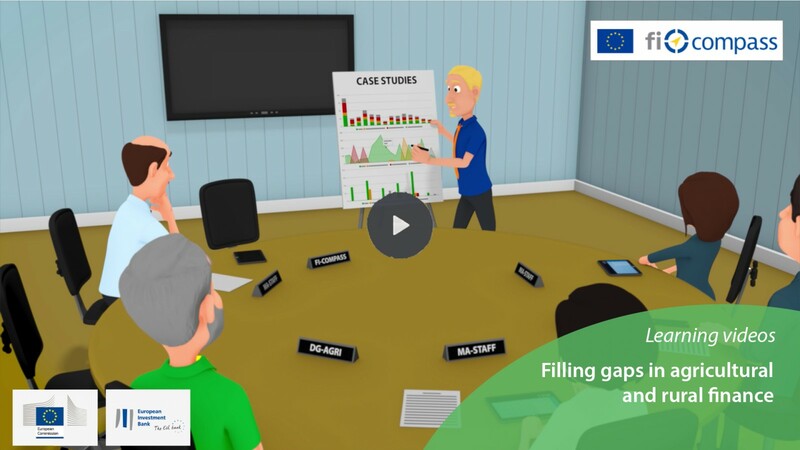 Videos feature information about EAFRD financial instruments and associated fi-compass support, as well as case study material and overview films from fi-compass events that promote the uptake of EAFRD revolving funds. 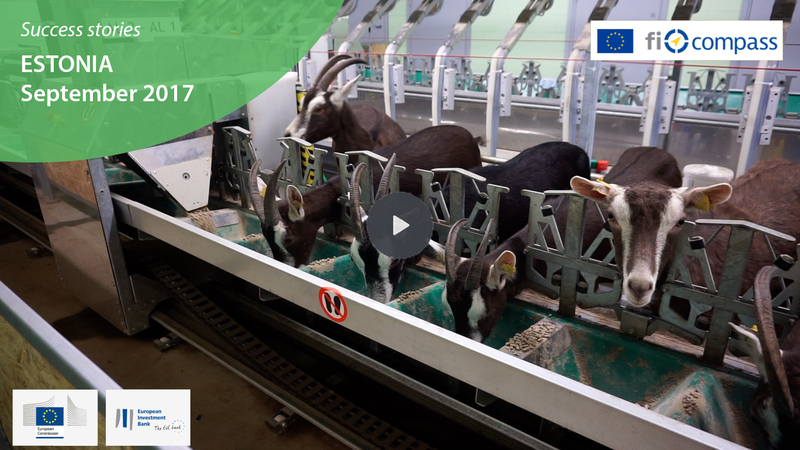 For example, successful experiences from French agri-food enterprises using an EAFRD financial instrument are presented in a video about the Occitanie Region’s FOSTER TPE-PME fund of funds, which was shown during a fi-compass EAFRD conference. Studies about EAFRD financial instruments are undertaken by fi-compass to help Member States and regions to develop theory into good practice on the ground. Our EAFRD studies also provide useful insights for a range of stakeholders including policy-makers, academia, and the financial sector. News articles, including interviews with agricultural financial instrument experts, highlight transferable lessons learned and other real-life EAFRD stories from the field. For information about other EAFRD specific regional and thematic events, please visit the dedicated event page.